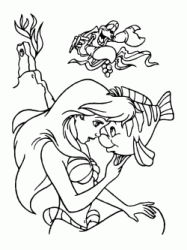 The Little Mermaid is a 1989 animated film directed by John Musker and Ron Clements and produced by Walt Disney Feature Animation. 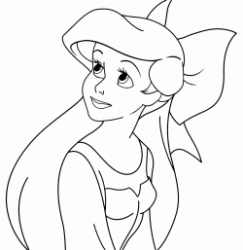 The film is based on the homonymous fairy tale by Hans Christian Andersen and tells the story of Ariel, a beautiful sixteen year old mermaid, not completely satisfied with her life at the bottom of the sea and therefore very intrigued by the human world. 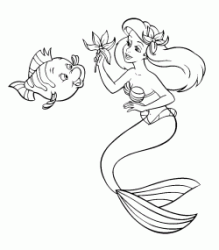 Despite the warnings of his father, King Triton, not to rise to the surface and despite the prohibition of the same to approach the human race, Ariel, along with her faithful friend, the fish Flounder, always seeks contact with human culture. 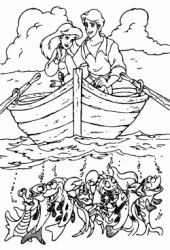 One day Ariel goes to the surface to see Prince Eric's birthday party on a ship, but suddenly a very strong storm sinks the ship. 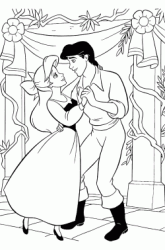 The prince, at the mercy of the waves and unconscious, is saved by Ariel, who, already in love, sings a song. 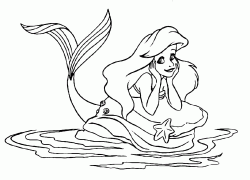 Before the prince regains his senses, to avoid being seen, Ariel plunges into the depths of the sea, but now Eric has been fascinated by the wonderful voice that saved him and decides so that he must absolutely find her. 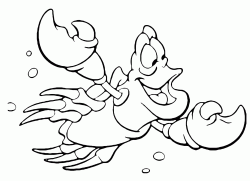 Meanwhile, King Triton, aware of the change in mood of Ariel, asks for an explanation to Sebastian, a crab who serves as Triton's adviser. 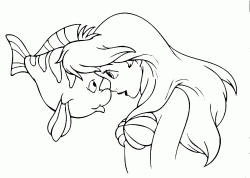 Sebastian tells Triton that Ariel has fallen in love with a human being. 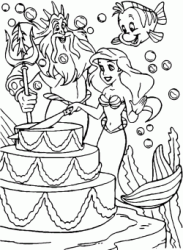 The King reaches Ariel in the cave, where the little mermaid keeps hidden all the human objects found on the surface and he destroys everything with his trident. 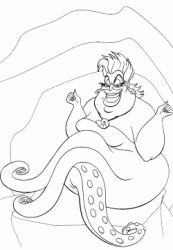 Ursula, the sea witch, the bitter enemy of Triton, has witnessed the whole scene through her magic sphere. 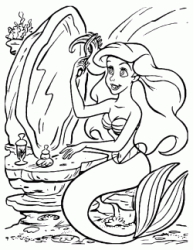 The witch decides to exploit the moment of crisis between father and daughter, to take control of Atlantica and thus sends her guards, two moray eels, Flotsam and Jetsam, to convince Ariel to visit their mistress, the only one able to help her with her beloved Eric. 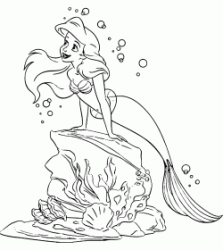 Ariel, to review the prince, decides to come to terms with Ursula. 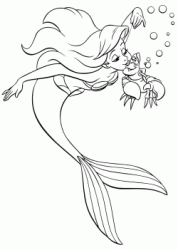 The witch turns Ariel into a human being for three days in exchange for her voice, which imprisons in a shell, during these three days Ariel will have to receive the "kiss of true love" from Eric, otherwise she will turn into a mermaid again and she will belong forever to Ursula. 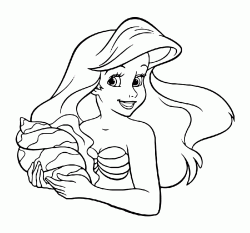 Ariel, transformed into a human, is brought to the beach by Flounder and Sebastian and is found there by Prince Eric who takes her to the castle. 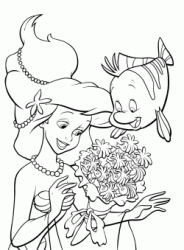 The little mermaid, deprived of her beautiful voice, can not be recognized by the prince, who, however, after a few days, begins to fall in love, so that the two are close to kiss if it were not for the intervention of the two moray eels. 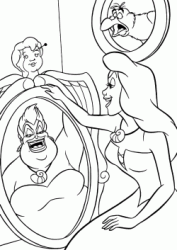 Ursula decides to turn into a beautiful girl with the voice of Ariel and with a spell conquer the prince. 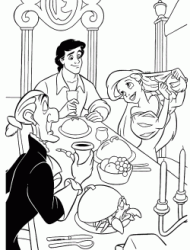 The witch, however, right at the time of the wedding with the prince, is unmasked by Sebastian, who runs to seek help from Triton. 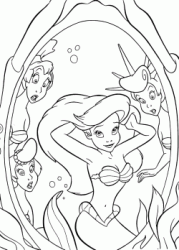 Meanwhile, Ariel and his friends try to stop Ursula. 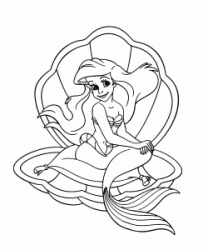 During the fight, the shell around the neck of Ursula falls and breaks. 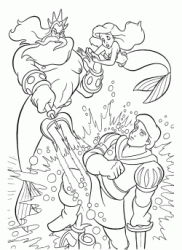 The voice of Ariel comes back and the prince's spell is eliminated. 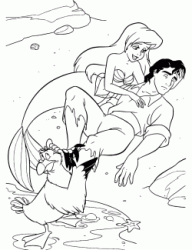 Eric realizes that Ariel saved his life during the storm and he runs to kiss her, but, just at that moment, the sun sets and Ariel shrinks into a mermaid. 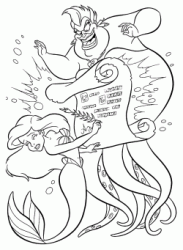 Triton, coming from the depths of the sea, asks Ursula to free her daughter, but the witch confirms that the pact can not be broken. 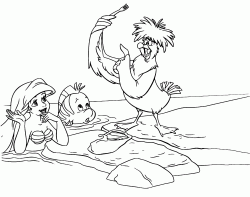 The king of the sea then offers to take the place of Ariel and so he is transformed into an alga. 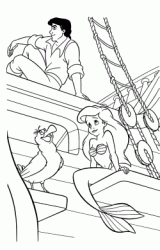 Ariel and Eric decide to face Ursula and after a hard fight Eric manages to kill the witch by piercing her with the bowsprit of his ship. 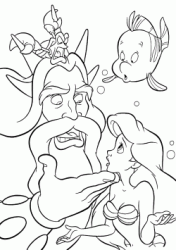 After the death of the witch, Triton regains his powers and realizing the love that the daughter feels for the prince decides to turn her into a human being. 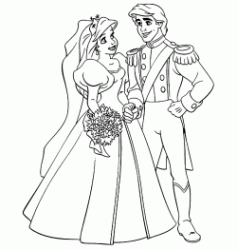 So Ariel and Eric can finally get married. 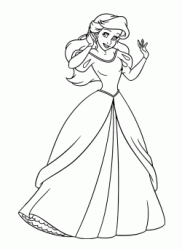 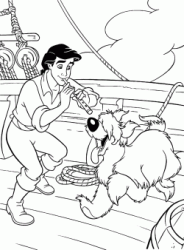 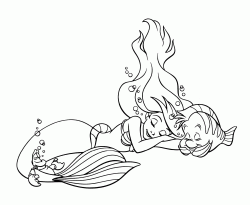 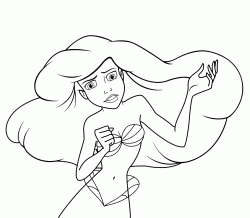 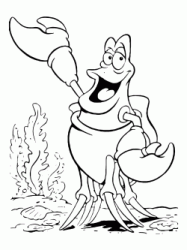 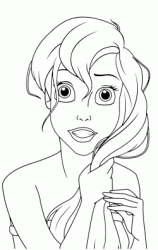 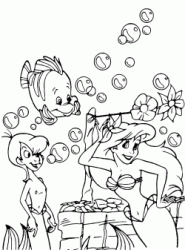 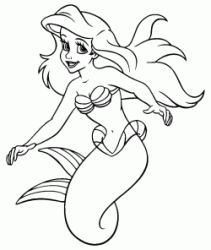 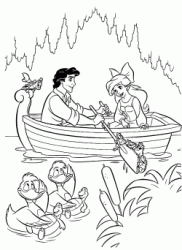 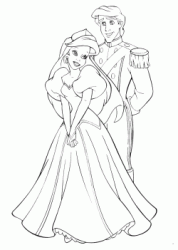 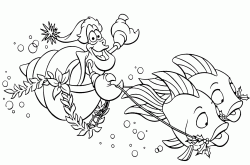 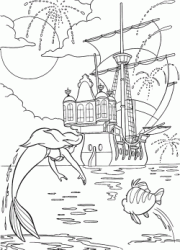 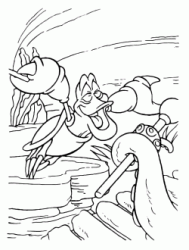 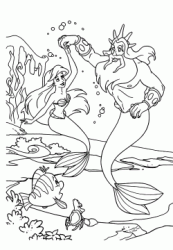 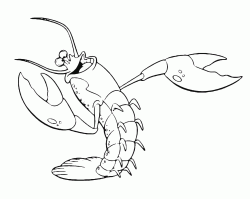 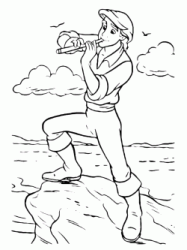 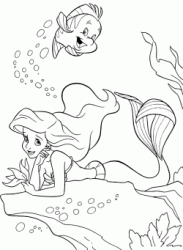 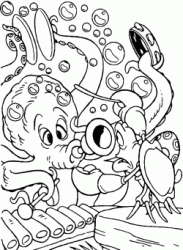 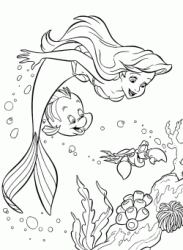 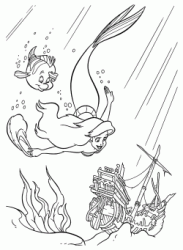 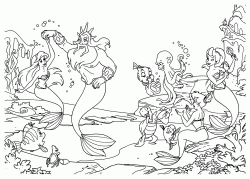 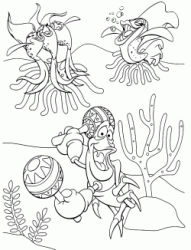 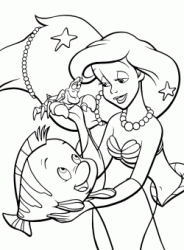 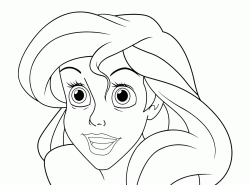 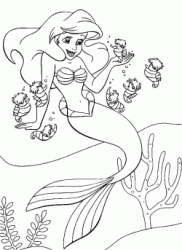 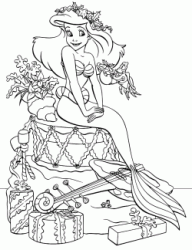 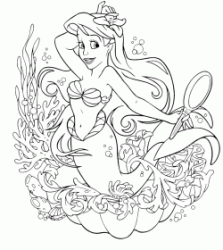 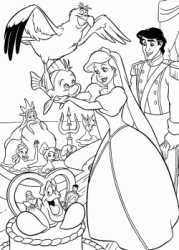 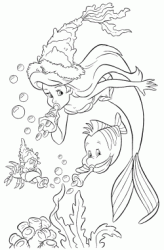 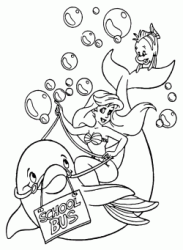 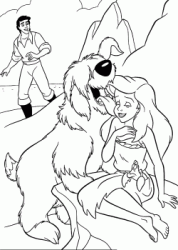 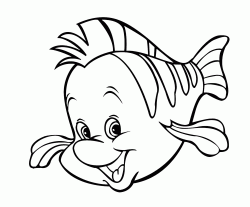 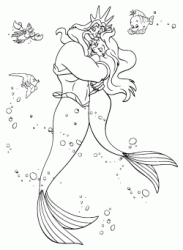 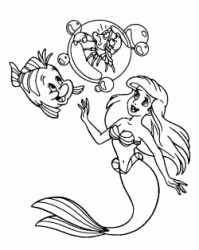 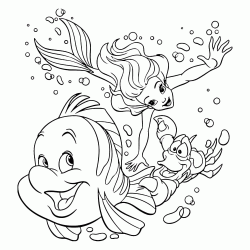 Have fun printing and coloring the drawings of the Little Mermaid. 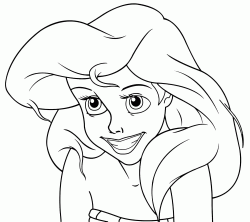 Help Ariel fall in love with Prince Eric.